The KTM 390 Adventure will be the Austrian bike maker's entry-level offering in the adventure motorcycle space and is slated for a global debut towards the end of 2019. The 2020 KTM 390 Adventure is one the most highly anticipated motorcycles in recent times and is set for a global debut later this year at the EICMA Motorcycle Show in Italy. 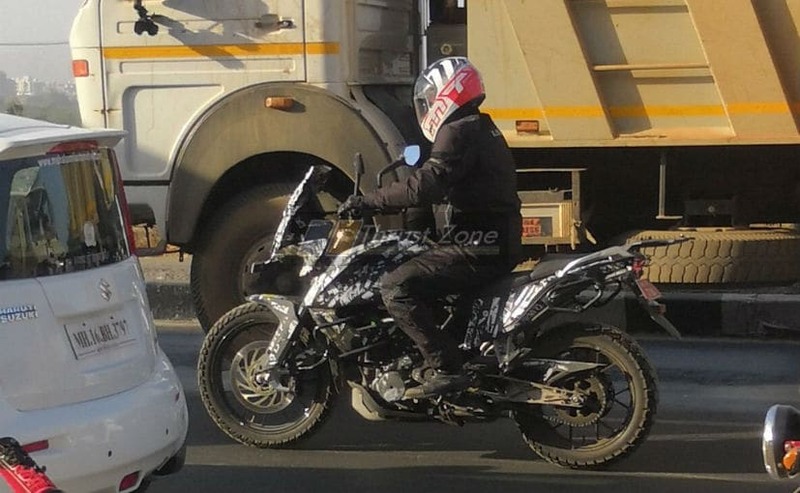 The first spy shots of the motorcycle were first seen as early as 2017 and now a new image has emerged of the 390 Adventure being tested in India. 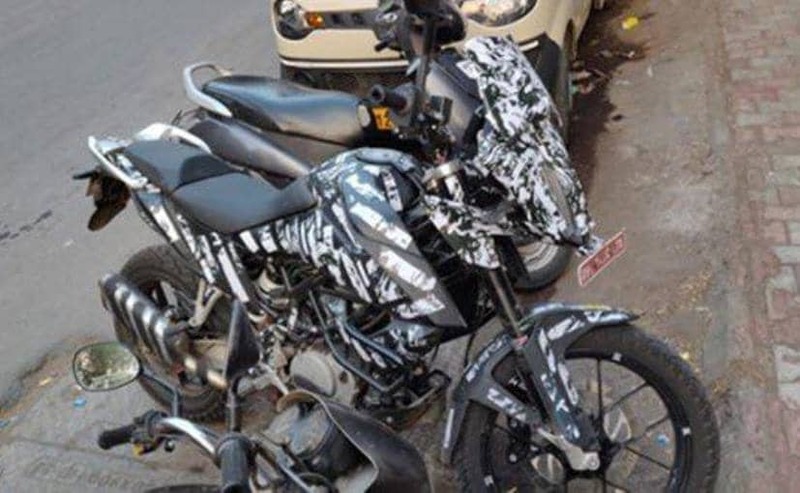 The test mule shows the bike in complete camouflage, albeit showing a glimpse of what to expect on the upcoming offering. Compared to the previous spy shots though, this one does miss out on the top box and saddle bags that reflected the tour-friendly nature of the bike. The 2020 KTM 390 Adventure test mule confirms that the design will be in-line with larger 1290 Adventure and 790 Adventure motorcycles in the brand's line-up. The bike is underpinned by a new two-part Trellis frame shared with the new 390 Duke, while upgrades are in plenty including the tall windscreen, raised handlebar, radiator guard saddle stats and a luggage carrier. The test rider's body stance also appears comfortable on the bike with an upright seating posture and nearly centre set foot pegs, which show promising ergonomics. The pillion seat is wider too, unlike on KTM's current set of offerings. At the heart of things, KTM will be employing the same 373.3 cc single-cylinder, liquid-cooled engine from the 390 Duke, which will be upgraded to meet BS6 emission norms. The bike in its current state produces on 43 bhp and 37 Nm of the peak torque, but that could change for the adventure-ready nature of the upcoming motorcycle. The bike is also expected to get a reworked suspension with longer travel from the USD forks up front and a monoshock at the rear, while braking performance will come from disc brakes at either end with ABS as standard. The safety feature though will be switchable. Another big update on the KTM 390 Adventure will be the larger fuel tank capacity that will help boast of a better travel range on the bike. The test mule rides alloy wheels, but speculations suggest that a spoked-wheel version is in the offing as well, with off-road capability. As with the 390 Duke, expect to see features like ride-by-wire, adjustable levers, LED headlamp and more on the new adventure offering. The 2020 KTM 390 Adventure will catapult the bike maker into a hotly contested segment that is yet to see a major shake-up. 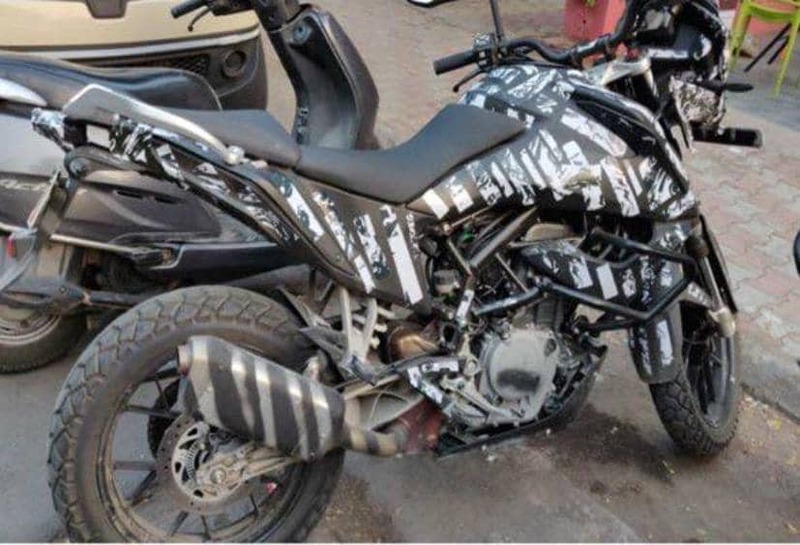 The 390 ADV's success could see more global manufacturers exploring this segment that is finding many takers given these bikes are light, easy to run (over premium ADVs) and are priced competitively. The 390 Adventure will go up against a host of offerings in India including the Kawasaki X-300, BMW G 310 GS, Royal Enfield Himalayan and even the Benelli TRK 502. An India launch is expected early next year.